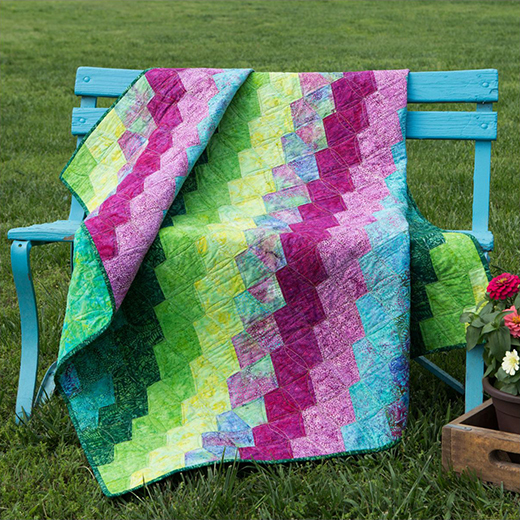 This Summer Fields Quilt designed by Accuquilt, The Pattern is available for free. Use a splash of bright batiks to make this quick-to-cut and sew GO! Tumbler Splash Quilt. Ideal for scrappy quilts, the GO! Tumbler die cuts pieces from multiple fabric layers perfectly, every time and works with all GO! fabric cutters.